and remember F comes before R ) and you have the tree layers. influenced by ACTH from the Anterior Pituitary. HYPER NATREMIA and HYPO KALEMIA is key to the diagnosis. be due to adrenal hyperplasia as well. The diagnosis is suspected based on clinical findings… High BP…. High NA…. and Low K+. The FIRST STEP in diagnosis, is Get and Aldo/ Renin Ratio. If > 30 then the clinician should progress to the next step. Next, a Na+ Loading Test is done . In this case, the Saline loading will also FAIL TO SUPPRESS ALDOSTERONE. Here the Diagnosis is Made!!! 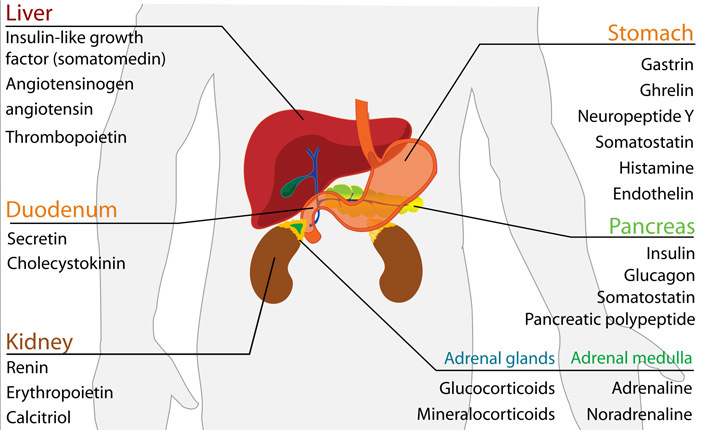 A CT Scan is Done however to locate the Offending ADENOMA… Remember there are two adrenals.